Pulse is an Award-Winning Energy and Water Broker based in London with 7 group offices throughout the UK, offering Energy and Water services for both ﬁxed and ﬂexible contracts. Pulse offers a truly 360° approach to energy and water looking after procurement and budgeting, as well as offering energy efficiency and legislation advice. Pulse is the proud winner of “The Energy Buyer of the Year” in 2015 and 2017 & Winner of the “Innovation of the Year in Technology: Internet & Controls” in 2016 at The Energy Awards. The awards are an acknowledgment of Pulse’s commitment to their customers and desire to offer market-leading Energy and Water solutions. In addition of being an Energy Broker, Pulse also built POD, a leading energy management software that combines functions across all departments to perform bill validation, document libraries for bills, contracts, rates, energy usage reporting, and energy budgeting tools in one secure online location. 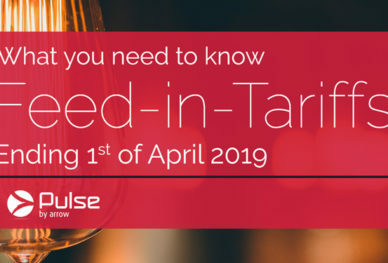 POD automatically imports all contract documents and invoices from energy suppliers to analyse past usage and produce annual Gas and Electricity budget automatically. Energy budgeting service and bill validation. 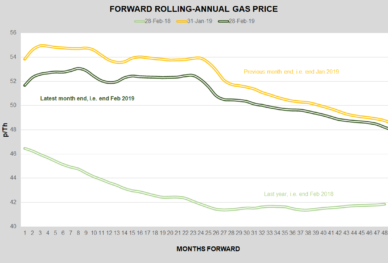 Energy buying advice based on the most up to date energy market information. Legal advice on energy contracts, government levies, and carbon schemes. Energy buying tailored to your needs, including fixed or flexible approaches. 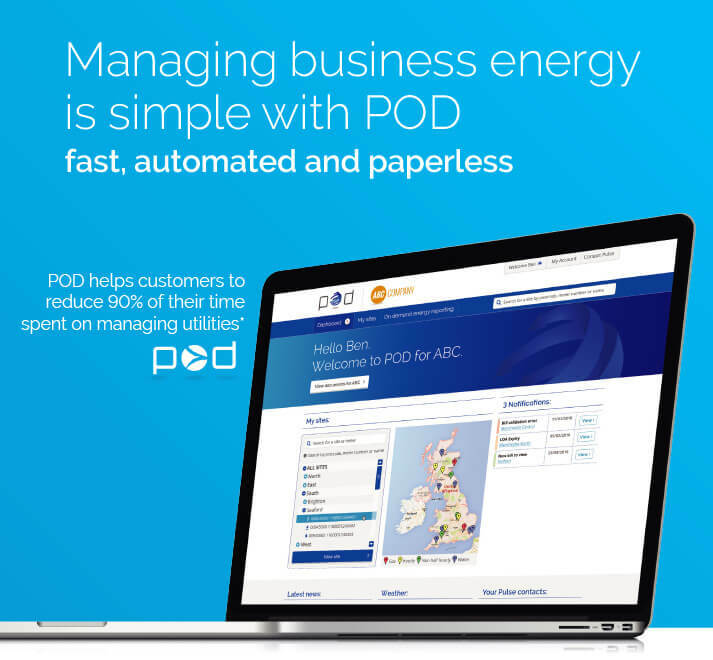 Innovative energy management software, POD, with easy access to all energy contracts, budgets, and consumption report documents. Send us a list of all your sites along with a signed Letter of Authority. Download our Word template: Energy Broker Letter of Authority. We will only review your contracts. This letter does not authorise Pulse Business Energy Ltd to enter into new supply agreements on your behalf. You review our recommendations and choose a supplier. Energy Broker Letter of Authority documents should be clear and simple, and should not include any words or phrases that give you cause for concern when instructing a broker to review or manage your energy supply. “For the avoidance of doubt, this letter does not authorise Pulse Business Energy Ltd to enter into new supply agreements on your behalf. All such agreements must be signed by a duly authorised representative of your company”.